On longer trips hikers often wish to keep something more of their journey than just a memory. Some carry a camera with them and take photos of their experiences, others keep a hiking diary, which is a nice reading afterwards – and these are just a few examples. RMK now offers another possibility to record your hiking trip. In RMK Hiker's Passport hikers can collect stamps and stickers from different stops on the way, and thereby create a lasting memory of their journey. However, the RMK Hiker's Passport is much more than just a memento. Hiking means giving up many of the conveniences that we often take for granted in our everyday life. The longer the journey, the longer we stay away from simple conveniences and the more we start to value them. Although for some people, the aim of hiking may just be letting go of conveniences, it is still sometimes nice to have some small amenities when hiking, amenities that we would not even miss in our daily life. RMK Hiker's Passport is, in essence, a loyalty card meant to provide small conveniences for hikers. Who is the passport meant for? Hiker's Passport is primarily useful for people who go on a long (a week or longer) walk on the RMK Hiking Route. 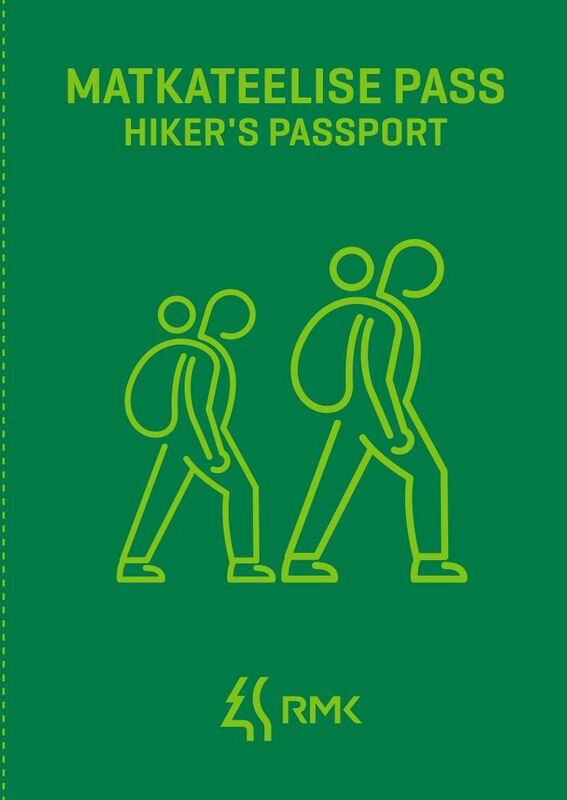 RMK Hiker's Passport can be obtained from any RMK Visitor Centre along the Hiking Route.